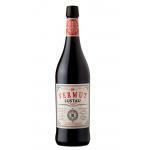 Dubonnet is the proud maker of Dubonnet 75cl (£6.07), a vermouth with origins in France with an alcoholic content of 14.8%. 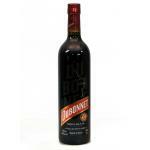 At Uvinum, users evaluate the Dubonnet 75cl with an average score of 4,4 points out of 5. 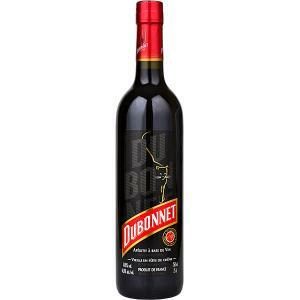 Dubonnet 75cl was created in 1846 by the French chemist Joseph Dubonnet who wanted to create a drink with quinine which would please the French Foreign Legion to fight Malaria. Over the years Dubonnet 75cl became famous as an ingredient for great cocktails which are especially appreciated by the British royal family. Indeed, Queen Elisabeth II is known to enjoy a 2/3 Dubonnet with a 1/3 Ginn with two ice cubes and a lemon slice. A royal drink available to all! - Color: Dubonnet 75cl presents a purplish red. 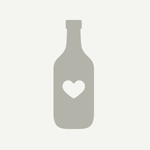 - Smell: aromas remind of dried herbs with hints of lemon zest and notes of cardamom and toffee. 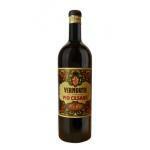 - Taste: herbal and spicy flavours with a rather sweet finish. The herbs include quinine, chamomile, colombo, elder, bitter orange, green tea and cinnamon. 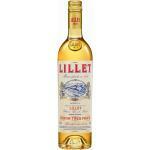 - Dubonet is a French, wine based apperitif flavoured with spices and hints of quinine. 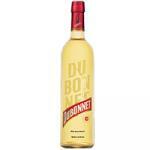 - Dubonnet is a world-wide leading French brand for its wine-based apperitif. 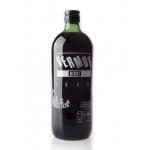 Vemut delicious French, belonging to the group Pernod Ricard. 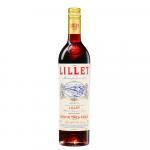 Criated in Paris in 1846 by Joseph Dubonnet, today this aperitif captures the eternal appeal of the French "art de vivre"
If you want to buy Dubonnet 75cl, at Uvinum you will find the best prices for Vermouths Dubonnet. Buy it now at Uvinum, comfortable and 100% secure. We have over 59.000 products for sale converting Uvinum this way into a leader in Europe with more than 38.000 satisfied customers.